Lawrenceburg resident named class valedictorian. Seven receive associate’s degrees. FRANKFORT, Ky. (Feb. 1, 2019) — The Kentucky State Police Academy presented diplomas to 35 new troopers at a graduation ceremony held in Frankfort today. 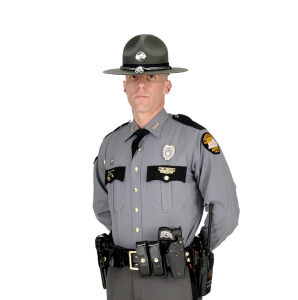 Their addition to the force brings the agency’s strength to a total of 809 troopers serving the citizens of the Commonwealth. 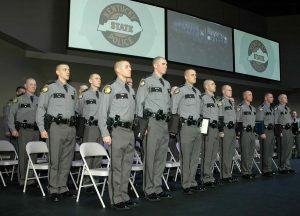 PHOTO CAPTION: Thirty-five new Kentucky State Police Troopers were sworn in at graduation ceremonies held in Frankfort on Feb. 1.